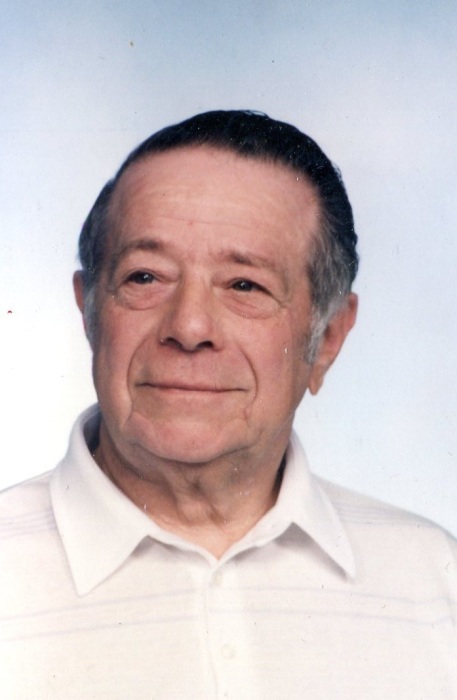 Pasquale Giuseppe (Patsy) Lodovico, 93, of Bristol, beloved husband of the late Cecilia (Pelletier) Lodovico, passed away with his family by his side on November 26, 2018 at The Pines of Bristol. Patsy was born in Bristol, on March 14, 1925 son of the late Lorenzo and Michelina (Cesstare) Lodovico. He was a US Army Veteran during WWII, where he served in the 90th Infantry Division and received the purple heart after being wounded in the battle of Periers France, July 22, 1944. Prior to his retirement he worked as a draftsman. Patsy was a kind ,generous man who loved his family and will be greatly missed. He is survived by five children; Lawrence Lodovico, Patty Lodovico, Philip and his wife Patricia Lodovico who visited him daily, Michele and her husband Donald Carriere, and Lisa Anastasi. 7 grandchildren, Jesse Futterleib, Gina Poley, Rico Lodovico, Tasha Anastasi, Jeremy Anastasi, Cassondra Clark, and Ryan Carriere. 7 great grandchildren, Matthew, Joseph, Sophia, Zachary, Sarah, Ava and Aiden. He also survived by his brother, Daniel Lodovico and a brother-in-law Anthony DeAngelo. Plus several nieces, nephews. He was predeceased by a son, Mark Lodovico, a brother, Louis Lodovico, sisters, Carrie Lodovico, Grace Dellabianca, Josephine Baraglia, Louise Colamussi, , Rose Ann Petosa, Florence DeAngelo.